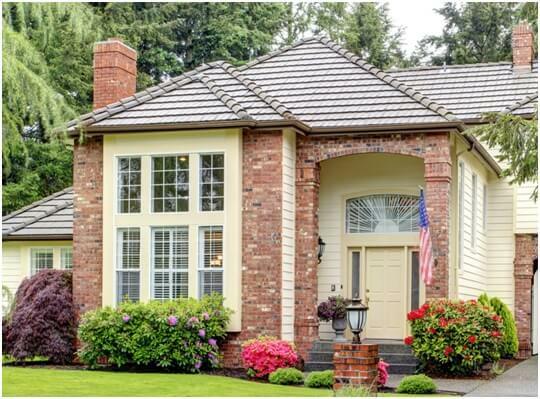 Last March, Porch (a home improvement network that gathers information about professionals, project data, and customer referrals) did a study on the top home improvement projects in America. The results were interesting, if not surprising. Here are some points that stood out. According to Porch’s findings, overall roofing projects rank high on the priority list of homeowners across the country. It’s the number one home improvement project for thirteen states, including Colorado, Florida, Montana, and Kansas. The western and northeastern states undertake the most expensive roofing projects, which seems fair, given that improving this part of the home fetches a high ROI. In fact, according to the 2015 “Cost vs. Value Report” by Remodeling magazine, a mid-range roofing replacement in the US gives back on average 71.6% of its original cost. In Michigan, residential construction projects got the highest chunk of household expenditures. These include additions and room remodels. According to the same report by Remodeling magazine, a mid-priced Michigan bathroom remodel returns 60.4% of your investment on average, while a kitchen update can pay back around 61.2% to 69.3% of its cost. In a related article, House Logic explains that minor room remodels often recoup your money better than extravagant renovations do. The latter actually took a huge hit because of the recession. When doing a kitchen or bath update, it’s less about fancy additions and more about making the room function better and reflect your own personality. Among Michigan homeowners, replacing or installing windows is also a big winner. It’s not difficult to see why. Weather in these parts can be tough and could take a toll on your house. Because your windows in Detroit play a vital role in shielding your home, they may be damaged by the elements quite often. This is especially true for wood windows. Some old houses in the Detroit Metro area still use traditional wood-frame units. While naturally beautiful, these aging units won’t be able to protect your home from the elements for long. What you need to do is find replacement windows that can better face up to the local climate. Kroll Construction specializes in this. Our replacement windows in Michigan are made with top-grade vinyl designed to protect your home for a long time. They won’t rot, warp, or crack even under challenging Michigan weather conditions. Our vinyl frames do a wonderful job of insulating the home and can lower your monthly energy bills significantly. We also use low-emissivity glass for maximum energy efficiency. Already planning your next project? Turn to the experts at Kroll Construction. We do roof and window replacement as well as bath and kitchen remodeling. We have a bunch of other home improvements up our sleeve as well. Call (888)338-6340to get a complete list of our services or set up a free consultation with one of our specialists.